There are so many of us having the same dilemma on how much and where is the right time and place to fight the evil and dangerous #45. My favorite place is a message board for political discord where you can debate anonymously. I usually feel better when I've out smarted a Trump supporter, even if they won't admit my facts are real and they're are made up. 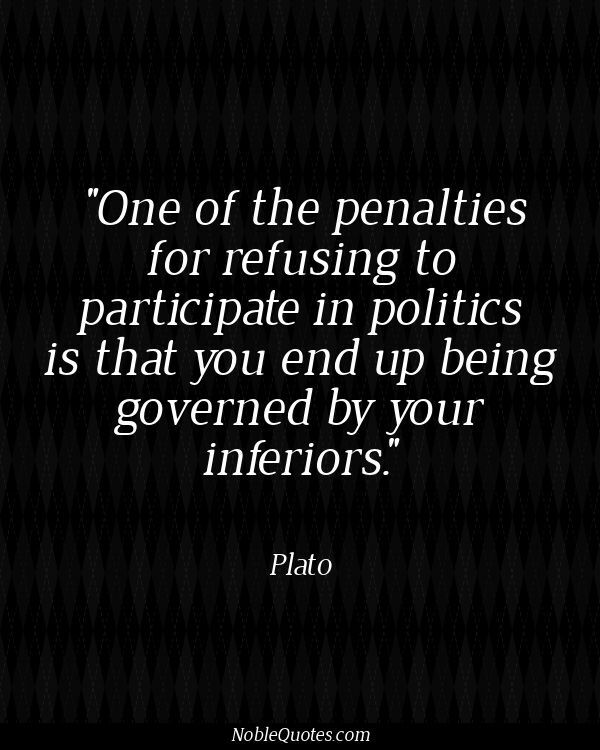 Plato had it figured our but we just don't learn! Glad you are able to vent on Twitter. Choosing your battles is a good way to go. Some things are just too important to stay quiet and others just aren't worth the words. It's beginning to remind me of the final days of the Nixon regime. Maybe that's wishful thinking but it keeps me going. Pick and choose your battles, very wise words. There have been so many things in my life during the last few years that have upset or angered me, and it was slowly killing me, so I've learnt to compartmentalise my emotions. I've also been practising mindfulness and I know I'm in a much better place now. Also there are certain things we can get really upset about but don't really have the power to change, I'd rather stay healthy so I'm able to change the things I can do something about. Your health should always come first. i'm with 'catalyst'… if only. but I think it is eventually going to culminate into that. and I somehow have to feel in spite of all the idiotic playground rhetoric in washington… there are some SANE heads behind the scenes. I'm glad you have your place in it figured out. being sick is serious business. The election left me a in a bad place. Early in the year I became so ill that I was in intensive care for four days. I think it was a reaction to trump. Your health should definitely come first! It's a real blessing to have ones health, it's so much easier to manage day to day life. As for Trump from a distance, some distance at that we don't know the half of what he's up to, or trying to get up to. If nothing else, the past election was a boon to all sorts of medical professionals. Drain the swamp — HA! He's got such a massive hair clog down that drain we might all drown. I don't have the stomach (literally, LOL!) for debating. But I'm glad you have found the best outlet for you! and Olga…good line! So true! Mind if I borrow/steal it? No words for this except amen and amen. I realized my anger was not doing a thing to him but was doing nasty things to me. I have had to pull away and like you–pick my battles–those I might have a chance of influencing. We will see. I'm sorry. I didn't mean to worry or upset you. I had a very bad case of the flu, but I think physical problems can become much worse when we are off kilter emotionally. It's hard to ignore when President Tweetledumb [sic] is always in our faces.